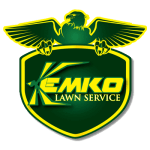 Additional Services to perfect your landscape. We have been servicing Atlanta for over 30 years. Throughout the years we have provided a valuable service to our customers. If we see a way to help improve your landscape we will let you know. We have grown to provide these additional services to help make your lawn the top lawn in Atlanta. Please call 770-466-6113 with any questions!